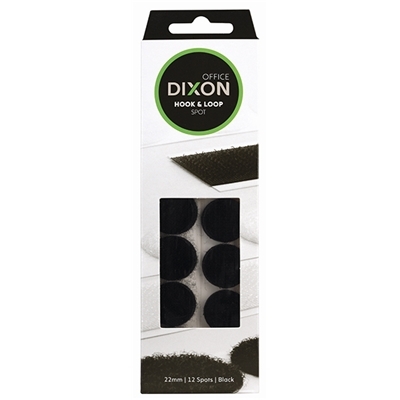 This pack of Dixon spots include hook and loop dots for fastening and hanging. They can be used over and over again and never wears out. Walls and panels made from receptive material require only the hooks to attach the items. For solid walls or panels you will require the hooks and loops. Available in strips or spots. Great for displaying or fastening posters, notices, packaging, tools, folders, office items, product samples.